Mumbai, Dec 8 (IANS) International short film producer Carter Pilcher, who has brought his ShortsTV channel to India, says he is looking forward to collaborate with Indian production houses to bring out more local short stories to the global platform. Asked if the channel is planning to collaborate with any Indian filmmakers, Pilcher, the CEO of ShortsTV, told IANS: "Absolutely. We have partnered with Large Short Films so that we develop and produce more short films. We are starting to partner with local production houses and looking forward to producing short stories, original short series. So yes, we will get to see more and more of that in the coming years." ShortsTV is an especially dedicated 24/7 channel for short films. It will showcase content from across the globe. Internationally, Indian cinema is known for its feature films. What made them consider India a potential market for a channel with short films. 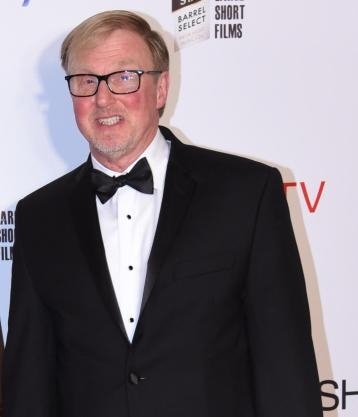 Pilcher, a member of the British Academy of Film and Television Arts (BAFTA), said: "One of the reasons why we are excited about India as a market is that India is a country with big cinema unlike anywhere else in the world. But as our whole world is coming closer through technology, people are interested to understand each other's type of entertainment. "Interestingly, Indians are interested to understand some of the western forms of entertainment that they love, and we (western world) are finding some of the fascinating stories from here. This platform will create more exchange. At this point of time, the idea is to grow together. So we look at it as an opportunity." In his company Shorts International, they are curating various short films to choose the best to put out on the international platforms. The catalogue includes past Oscar winners and nominees and festival favourites. So, how does he look at easy access to technology bringing a change in short films? "Filmmaking is a hard craft. It is not just writing a story, performing on-stage like a theatre actor or just working on how to put the camera and set the light. It is a craft that demands everything to put together to tell a story in an interesting manner. That's why when we go through the process, we have seen long and short movies that are terrible, and some are fabulous. "So the easy access to technology has given the chance to make more films. But the thing with short films is, few stories are best told in short format and not in a feature length film." He said the concept of the short series is appreciated. "What we are encouraging these days is short film series, where based on a common theme, we are making a series of short films and the duration could vary from 5 minutes to 18 minutes depending on the story. This is an interesting experiment where we are attempting to deliver some high-quality content," he added.